Roomba battery. Solution of problems. If your battery no longer has the same performance before it is possible that your problem has a solution without the need to change the battery. 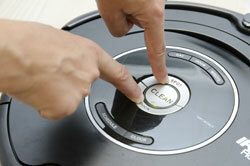 1 Perform a Roomba battery reset. 2 Make sure that the Roomba battery pins make good contact. Force them up with great care to unfold them a little bit and get the battery to do better contact. Sideburns more grades correspond to the poles of the battery and the smaller to the APS Advanced Power System, a temperature sensor that regulates the load that the robot performs on the drums. It is important that all pins make good contact. 3 Keep the connection of the robot fork clean. It is important to occasionally wipe with alcohol our roomba contact plates. These plates are located under the robot and are what make this to recharge when it is resting on the Dock. Remember to also clean the charging base plates with alcohol. 4º Clean thoroughly the roomba truck. Dirt accumulated on the roomba truck makes this need much more energy to operate. Loses efficiency and makes thatthe battery last much less. 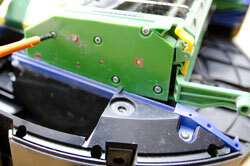 Roomba truck is the piece that supports cerdes brushes and flexible. 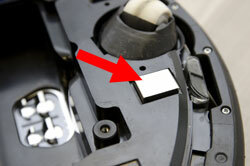 To remove it is necessary to remove the cover that covers the battery. Once we have removed cover, take out the 4 screws that hold in the truck. The carriage is composed of two pieces of different colored plastic. One of them is home to one of its sides, the gears spinning rollers. To gain access to them, it is necessary to unscrew the 5 screws that close your tape. It is important to remove the gears and clean all its cockpit to conscience (is not a complex task). Later, once clean throughout the cockpit and own gears, turns to assemble everything and applies a little fat fine (sold in tubes at any hardware store). 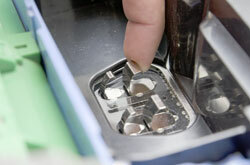 We must also remove all the crap accumulated around the motor located inside the car, as well as the dirt sensor. To clean all this, the best is to use a conventional vacuum cleaner and sensor dirt, a slightly damp cloth.